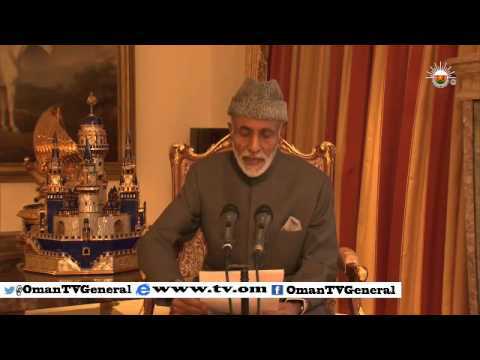 Earlier this morning HM Sultan Qaboos made a statement on Oman TV. Obviously he spoke in Arabic and so I'm not 100% clear on what was said, but the general consensus of the appearance appears to be one of well wishing for the 44th National day on the 18th of November, and gratitude for the ongoing support and loyalty of the Omani people. Oman is about to celebrate its 44th National Day and it is with great pleasure that he congratulates the people of Oman. The country has been progressing according to the agreed-upon plans and is heading towards a bright and prosperous future. It is God’s will that he will not be in Oman for the 44th National Day as he must follow a medical schedule towards a full recovery. He thanked the people of Oman for their prayers and well wishes. He saluted the Armed Forces and wished everyone a happy National Day. Further to this, and referencing this ToO article which I've just discovered, HM also alluded to the fact that he's undergoing medical treatment, and that he is responding to the treatments.